ECO CARE will do a complete evaluation and give you an accurate price upfront, and you can be sure you’re getting the best price, guaranteed! NEED A JOB DONE QUICK? SAME DAY SERVICE AVAILABLE! 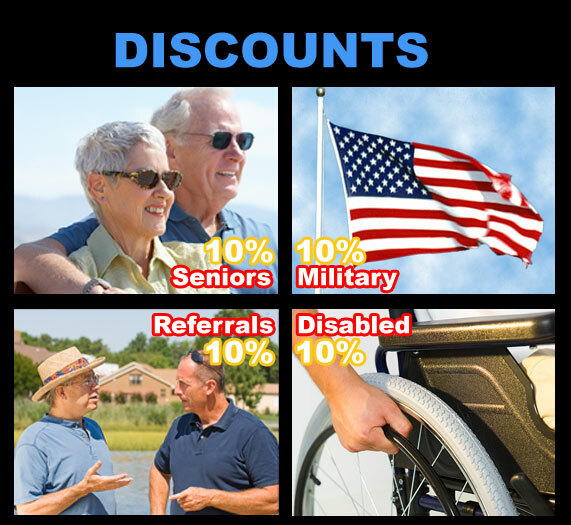 ECO CARE has a best price guarantee. So if you find a better price on any of our services, we’ll match it, then discount it by 5%. Plus, we’ll discount your very next service by 5% as well. So use the company you can trust for quality service and the best price guaranteed! GRASS CUTTING SERVICE INCLUDES WEEKLY CUT & TRIM WITH CLIPPINGS BAGGED AND REMOVED.